This fitted shirt with a classic collar flaunts an on-trend look. 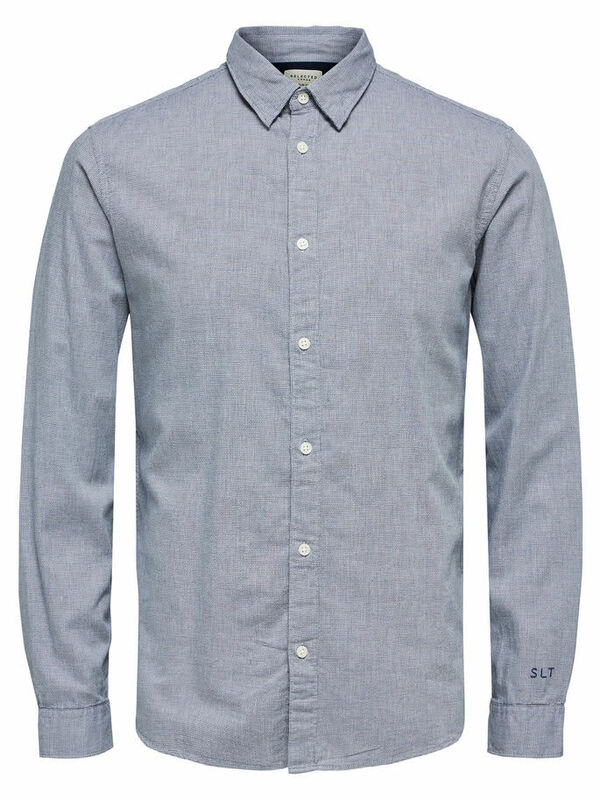 Made from a lightweight cotton blend, this men’s shirt features tonal classic buttons. Add a touch of originality to your classic suit by pairing it with this shirt.